Our branded zip closure die cut handle bag has non-reinforced die cut handles, zip closure and bottom gusset. 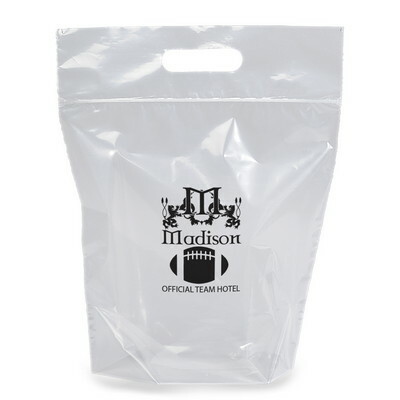 Send your competitors packing and easily market your brand with the Zip Closure Die Cut Handle Bag. 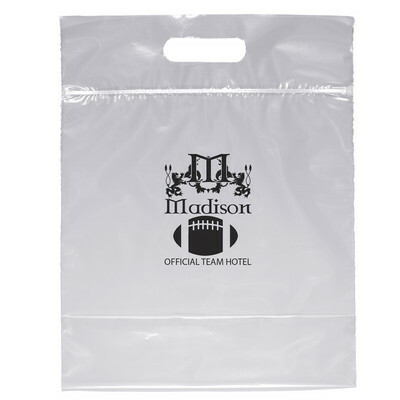 Emblazon your company’s logo on the bag through Flexographic ink imprint to elevate your brand’s success. The bag is made from plastic and is 100% recyclable. The non-reinforced die cut handles and zip closure provides effortless transportation and optimum security. 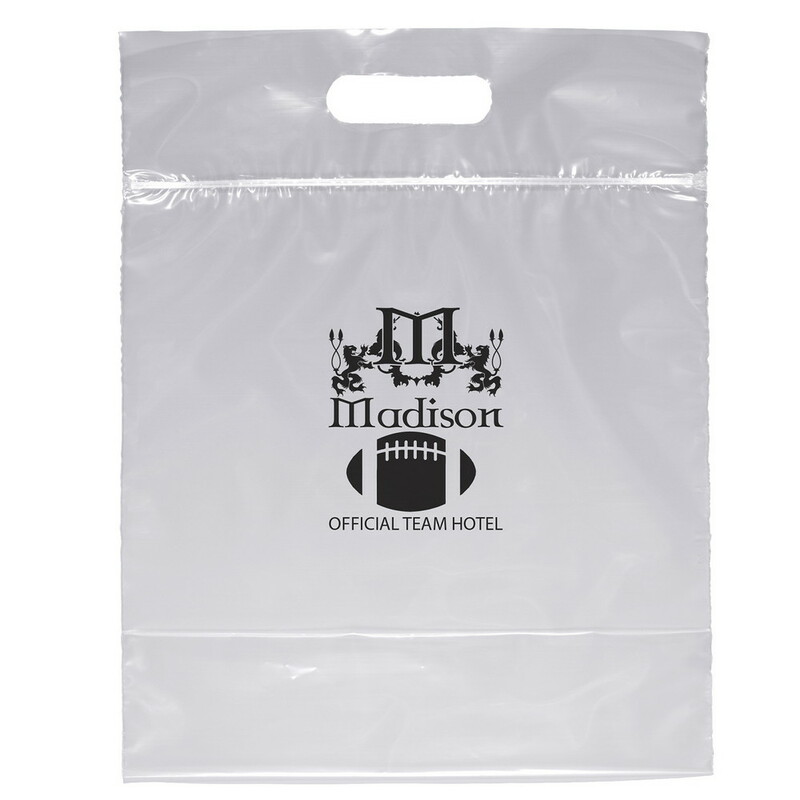 The imprint size is limited to 3.4W x 4.5H to meet NFL Stadium Security requirements. Utilize this affordable promotional product to easily market your brand among new and repeat customers.